Decades of research show that workers who involuntarily lose their jobs suffer long and enduring reduced earnings. Recent evidence on the effects of job loss in the aftermath of recessions in the United States illustrates the persistence of these earnings losses: Workers who are laid off or displaced from their jobs during economic downturns have persistently lower earnings than their peers long after they’ve found new jobs. Why do these displaced workers earn less in the long term? Is it because they work fewer hours, find new jobs with lower hourly wages, or get new jobs at a lower paying firm? New research by Marta Lachowska of the W.E. Upjohn Institute, Alexandre Mas of Princeton University, and Stephen Woodbury of Michigan State University uses Washington state unemployment insurance records coming out of the Great Recession and the subsequent economic recovery through 2014 to find out. The short answer is that yes, hours and wages both contribute to earnings declines for displaced workers, but the types of firms where they eventually found jobs matters as well. Unlike other state’s records for unemployment insurance, Washington’s includes data not only on hourly wages but also on hours worked. The Employment Security Department of Washington state collects data on the hours, earnings, industries, and employers of all insured workers in order to determine eligibility and replacement wages if one becomes unemployed. This unique dataset enables the three authors of the new report to decompose total earnings losses over time in order to assess how much of that loss is due to changes in hours versus changes in wage rates versus changes in employer-specific wage premiums. These wage premiums-also known as rents-represent a measure of the advantage attained by working for a specific firm. The authors find that long-term earnings losses for displaced workers are initially explained by both fewer hours and lower hourly wages when these workers rejoin the labor market. They also find that hours worked recover faster than higher wages earned for these newly employed workers. So, while a displaced worker’s earnings penalty is initially explained mainly by fewer work hours, five years after the initial involuntary job loss, displaced workers’ lower wages explain more of the gap between their current and prior earnings levels. Why, then, are these displaced workers experiencing lower wage levels? The analysis finds that individual firms’ characteristics are an important explanation for the gap in hourly wages between displaced workers and comparable workers who were not affected by layoffs. Simply put, even after holding a host of job- and skill-related worker characteristics constant, the three researchers find that displaced workers are more likely to find new work in firms that simply pay less well or are a less favorable match for their skills than their former employer. Their research shows that approximately 25 percent of the reduction in hourly wages, on average, can be attributed to working at a lower-paying firm. 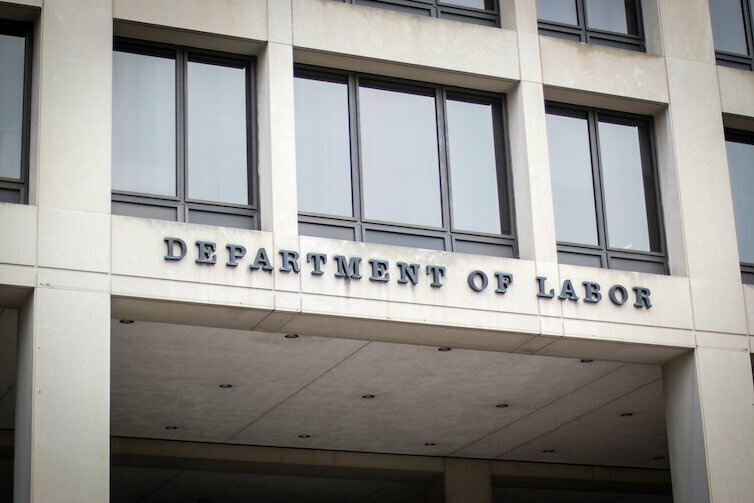 The researchers find that workers whose former employers paid wage premiums in the top 20 percent can attribute about 83 percent of their lower hourly wages to lost premiums from their previously high-paying employers. The difference in pay between comparable workers at two different firms, referred to as employer-specific rents, depends on how the two companies decide to share their respective profits with their workers. These rents that workers receive when working for a high-paying firm (and lose after being displaced and re-employed at a lower paying firm) provide some explanation for lower earnings. In short, firms matter. Lachowska, Mas, and Woodbury’s work supports the notion that for displaced workers “where you work” is important to “what you earn.” Other recent research on “interfirm inequality” shows that even for workers who were not laid off, differences in average wages across firms can help explain why similar workers may earn such different salaries. Firms also influence workers’ future earnings potential and their likelihood of ascending the job ladder. Researchers are increasingly recognizing the important explanatory role that firms play in the evolution of wage inequality and in the changing landscape of the U.S. labor market. Wages are no longer simply a function of education or skill level. What U.S. workers earn is in part dependent on the kind of firm for which they work. These findings point policymakers to important considerations when contemplating new approaches for helping workers recover from bouts of unemployment or transition from one employer to another amid a rapidly changing labor market.